Crumbling infrastructure, lack of financing and lax regulation are the biggest contributing factors to the instability of America’s water supply. Detroit’s water crisis and the recent problems in Toledo, Ohio, have highlighted the nation’s problematic relationship with its water sources. According to the Urban Institute’s MetroTrends blog, most Americans assume water is safe, plentiful and cheap. The reality is not so bright. Water safety, supply and cost in U.S. cities has been the subject of intense management and regulation, and even so, according to a recent American Housing Survey, over 8 percent of U.S. households report their primary source of water is not safe to drink. There are three main factors contributing to water instability, according to MetroTrends: infrastructure, financing and management/regulation. 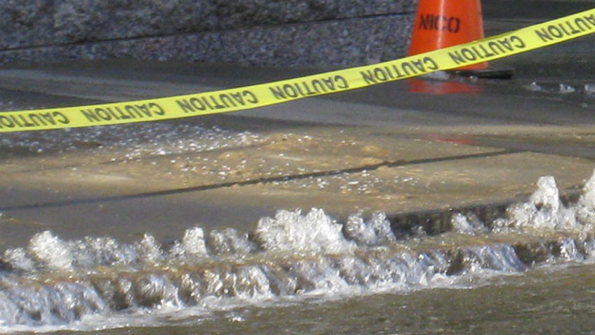 America’s water infrastructure is crumbling. According to the American Society of Civil Engineers (ASCE), there are an estimated 240,000 drinking water main breaks per year in the U.S. The group gave the nation’s drinking water infrastructure a “D” grade in its 2013 report card. The pipes used to build this infrastructure, most of which are made of clay, are reaching the ends of their lifespans, according to The American Water Works Association. The group estimates it could cost well over $1 trillion to replace every aging pipe in the country. It is clear that large-scale financing is needed to maintain reliable access to water, however, debt is obstructing local government action. According to a FiveThirtyEight Economics report, the two biggest sources of debt for local governments are pension funds and paying back money borrowed during the 2008 financial crisis. As a result, municipalities have generally been more focused on paying down debt than investing in infrastructure projects. But spending must happen soon, as costs will continue to rise if investments are postponed. Citing ASCE numbers, MetroTrends reports the funding gap for water and wastewater infrastructure will be $84 billion by 2020 and $144 billion by 2040. This means by the next decade, households could be spending up to $900 more per year for water. However, some municipalities are already addressing these issues. Click here to see which local governments are spending the most on infrastructure improvements. Management and regulation is the third piece of the puzzle. With changing environmental conditions and increases in urban populations, “we need to continue investing in monitoring and enforcement of city waters beyond basic quality, and look toward effective guidelines and incentives that address water access, pricing and conservation,” according to MetroTrends. Green infrastructure is one management system that could help communities become more sustainable without major financial investment. Last month, the Environmental Protection Agency launched its Green Infrastructure Collaborative, which will help municipalities with sustainable wastewater projects such as green roofs and roadside rain gardens through grants and technical support.